Toyeen B's World: Photos: Doctors advice that the IG of Police should NOT be mocked, that he may be dyslexic! 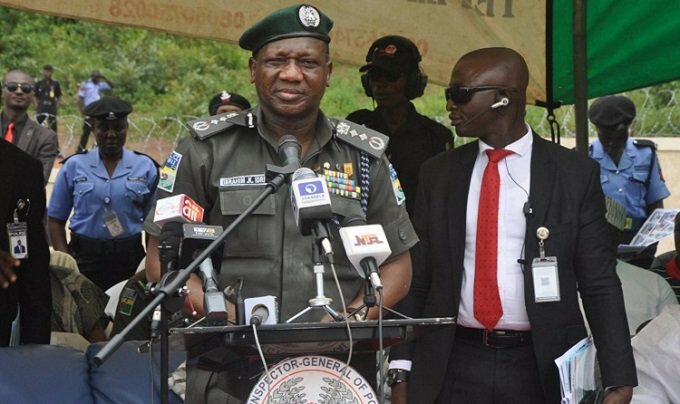 Photos: Doctors advice that the IG of Police should NOT be mocked, that he may be dyslexic! Following the viral video (which some were saying was doctored) of the IG of Police, Ibrahim Kpotum Idris, where he was seen struggling to read a script, 2 doctors have come online to warn people to desist from mocking him as his condition may be medical/health related. The IG of Police has been castigated in the press and on social media for a speech he gave yesterday where he was struggling to read. After watching the video myself, what I saw was someone probably having a transient ischemic attack (TIA) or a ministroke if you like. What is seen is more likely to be a word salad where there is a disconnection between what the person intends to say and what they do eventually say. Which might explain why he also apologises in the video as he also realises he is struggling. He needs to be checked out as TIAs often precede the more fatal stroke. Strokes and cardiovascular disease are the two most common cause of death in Nigeria, and by 2030, almost ten years from now, along with with cancer and diabetes will be the most common cause of death in Africa. Our lifestyles are changing and so are the things killing us, most of which can be prevented. This should be a teachable moment for leaders in our country, both in the public and private sector. Health is not something to be overlooked. Making health a proirity is an investment and not a cost. Most organisations in Nigeria are currently unprepared to deal with the socioeconomic impact of non communicable diseases. Oh my, for all the laughs we laughed, I sincerely apologize on behalf of all TOYsters and my humble self!!! I have seen some of his previous videos and he spoke well there. Dyslexic ko, amnesia ni. He did not read his script before that moment.